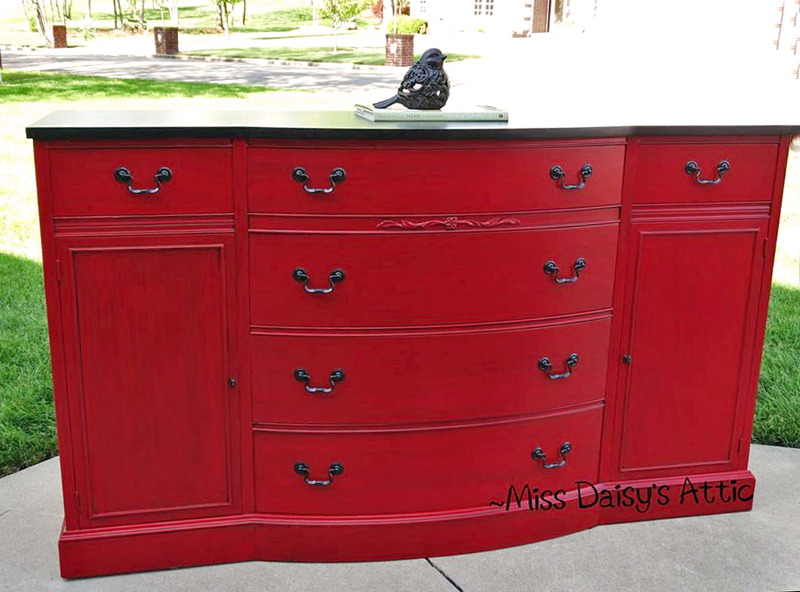 Miss Daisy's Attic refinished this radiant buffet with Holiday Red Milk Paint and Java Gel Stain - what a beautiful combo! "Believe it or not this was my first time using Holiday Red. This piece turned out much better than I had even imagined. I stained the top in Java, used Holiday Red with Van Dyke Glaze and topped it all of with High Performance Flat. Thanks for the great products!"